If you’re in a last minute crunch on your halloween costume and want to be a werewolf, don’t worry, even if you don’t have any costume accessories you can still be a werewolf! All you need is makeup and inspiration! 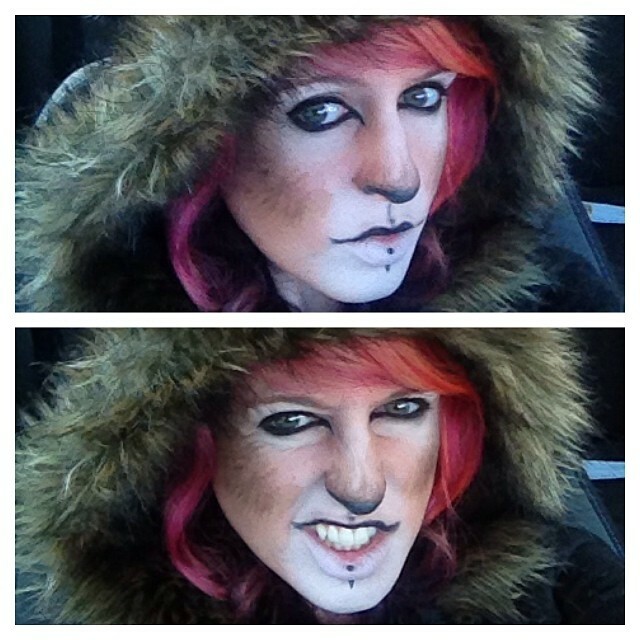 Take a look at some of the werewolf makeup pictures below for inspiration – in most cases black, brown, white, and grey makeup is all you need! If you want to make it a little fancier, if you have some fangs, those work great to add to the overall effect!! Even without fangs though, you can be an awesome werewolf! These makeup ideas work great for both guys and girls, and the best part is, once you have your face all madeup, you can just wear regular clothes for the rest of your costume!! If you want to, you can change it up by wearing a torn shirt or torn jeans, but that’s not even really necessary! Check out the pics below to make an awesome werewolf costume with just makeup!! This is kinda cool! Check this out! Next story This is Halloween! Happy Halloween! Previous story 14 Awesome Werewolf Costume Pictures for Adults this Halloween!